While delivering content via the Internet can be efficient and economical, content owners risk losing control of their intellectual property. 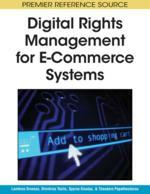 Any business that wishes to control access to, and use of its intellectual property, is a potential user of Digital Rights Management (DRM) technologies. Traditional DRM has a passive one-way downstream consumption of content from producer to consumer focus primarily concerns digital rights enforcement. This model does not translate well to the education environment where openness, informal decision making, sharing of ideas, and decentralization are valued. Collaboration and multiple authorships are common in the educational environment, as is the repurposing and modification of digital content used for teaching and learning. A DRM system for educational content distribution must be substantially more sophisticated and flexible than what is available right now to gain support in the educational community. The Internet enables digital content to offer many more options to its users than print form can. Globally, the print media are under tremendous pressure. Circulation declines lead to staff reduction as print media are unable to compete with e-media for an audience that is younger, with a busier life style, and increasingly seeking information online (Ahrens, 2005). Similarly, e-learning technology is rapidly changing the landscape for education products and services. Publishers, the traditional undisputed leaders in the educational content market who based their business process on the production of textbooks, must now seriously rethink their role and business model. The digital educational content market has arrived. The focus is now shifted from the distribution and sale of tangible products to the distribution and licensing of intangible products, from products to the services, and perhaps phasing out the paper product all together. While e-books have not experienced mass-market success, digital technology does provide ample opportunity for content marketers with the right strategy (Hasebrook, 2002). Today’s educational market is truly global. Digital content can be packaged and customized for different market segments and electronically distributed to different geographic areas. Print materials are expensive to produce and store, while digital content lowers manufacturing and distribution cost. New technology now enables an entire reference library to be carried in a small lightweight portable device, making it convenient for field workers who need access to reference materials or consumers who want to take their personal libraries with them. Intranets and wireless networks extend on-line courses to non-traditional learners who are highly motivated, reducing the cost of corporate training. The use of virtual private networks and wireless LANs empowers an entire new educational paradigm: mobile, or m-learning.